Ilhan Omar has been under fire for repeated negative comments about Israel and the Jewish people. So a GOP Congressmen decided to give Omar a very important American history lesson. Now it may be that Omar is not used to living in such a diverse country that welcomes all types, no matter what religion you practice or the color of your skin, but she needs to learn our history if she plans on helping America continue to lead the world. 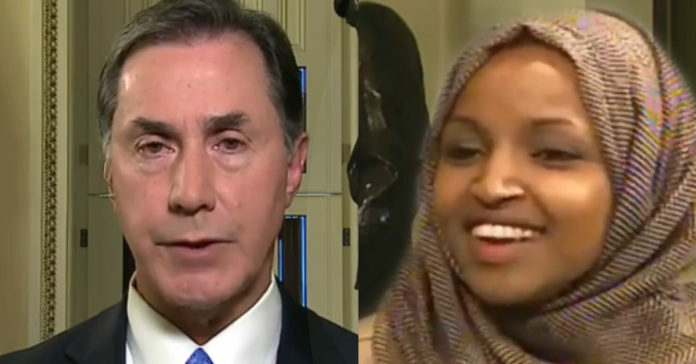 GOP congressman Gary Palmer blasted Ilhan Omar’s “anti-Semitic … bigotry” by highlighting a Jewish CIA officer and former Green Beret who was killed on a peacekeeping mission in her native Somalia. Palmer cited Freedman as an example because he was Jewish-American and because, he wrote, Omar is guilty of “anti-Semitic statements” and “bigotry.” Freedman was the first American to die in the U.S.-led intervention in the Somali civil war, which included the Battle of Mogadishu. Freedman, 51, went by the nickname ” SuperJew” among his friends in the Green Berets. Both his death and life were shrouded in secrecy. The Pentagon didn’t even disclose what his mission was in Somalia in 1992 when his vehicle hit a tank mine, killing him and injuring the other three men in the vehicle. Freedman had retired from the Army in 1990 and joined the CIA, which sent him to Somalia. During his storied career in the military, Freedman served in Vietnam as a Special Forces medic and received two Bronze Stars. He met his first wife in Vietnam and adopted her two children. He also was part of the army’s Delta Force as well as being an expert sniper and sniper instructor. Separately, he helped the Secret Service design the security for the presidential limousines. In his spare time, he was known for lifting weights and biking around the country. Palmer wrote Freedman’s death “stands out” in particular because he is Jewish. He was concerned that Omar did not “nurture relationships” with the Jewish community.